Oilfield work is considered one of the most dangerous occupations in the world. However, oilfield shales have rapidly increased in many areas including Texas, Pennsylvania, Louisiana, and North Dakota. With the increase of these drilling sites, the number of oilfield injuries and deaths continues to rise. The following are two operations in the U.S. that could potentially see a rise in injuries and why. The Eagle Ford Shale in south Texas covers more than 11,000 square miles. This shale is the largest oilfield discovery in America in the last 40 years and it is the most active gas formation in the world. Oil companies have raced to South Texas, generating nearly 40,000 new jobs in areas that were previously under-populated. Texas is the largest producer of natural gas and crude oil, so injuries and deaths occur all too often in shales across the state. Economic growth is great for any state, but oilfield injuries and motor vehicle accidents in Texas have skyrocketed due to several problems. Lack of training and poor rural infrastructure have caused some issues, because the large influx of commercial vehicles has put extra strain on roads. Some of the common oilfield injuries in southern Texas have involved platform falls, oil well fires, burns, amputation injuries, and injuries from falling loads. North Dakota has also entered an oil and gas boom. The Bakken Shale formation, located in eastern Montana and western North Dakota, is a hotbed of drilling activity. This formation has been producing oil since 1953, but production was sporadic and limited for many years due to the features of the surrounding land. New drilling technologies, such as horizontal drilling, have made further development of the upper Bakken Shale possible. Unsafe drilling practices, commercial truck traffic, and even train derailments have called the safety of extracting and hauling oil into question. Safety alerts issued by the United States Department of Transportation declare that crude oil extracted from this area is highly volatile. The alerts say that extra care should be taken in regards to the extraction and transportation of crude oil from Bakken Shale. Oilfield workers have important but dangerous jobs. Employees in both oilfield and gas industries are always at risk of being injured due to another’s negligence. There are also other risks such as fires and explosions on the job. If safety protocols are put in place and followed, the risk of injury is greatly lowered. However, the unfortunate reality is that many workers face dangerous risks on the job, regardless of the safety measures they take. 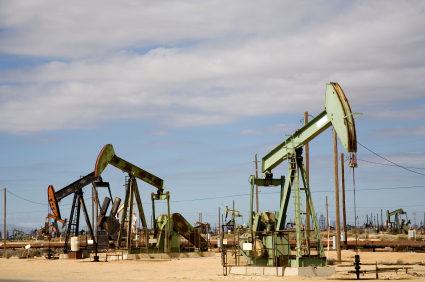 If you have an injury caused by an oilfield or gas accident in Texas or Oklahoma, you may be entitled to compensation. For more information about how to get assistance with your claim, contact Attorney Dean Boyd today. If you would like to learn more about our services, Contact Us via email or call us at (806) 242-3333. You can also come by our office at 4423 SW 45th Ave in Amarillo, Texas or 5012 50th St #103 in Lubbock, Texas.